Categories: International, Mystery, Thriller | Tags: Helen Grant | Permalink. The first death: Seventeen-year-old Lin Fox finds a body in an orchard. As she backs away in horror she steps on oken glass. The second death: Blood appears on her doorstep – blood and oken glass. The third death: Something terrible is found in the cemetery. Shards of oken glass lie by a grave. As the attacks become more sinister. Lin doesn’t know who to trust. She’s getting closer to the truth behind these chilling discoveries. but with each move the danger deepens. Because someone wants Lin gone – and won’t give up until he’s got rid of her and her family. Forever. 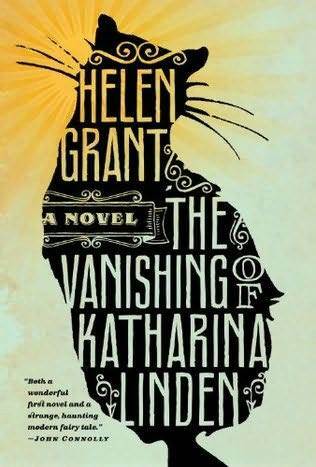 Categories: Fantasy, Thriller | Tags: Helen Grant | Permalink. The cathedral the girl has just dashed out of is not Saint Paul’s, it’s Sint-Baafs. The river she’s heading for is not the Thames, it’s the Leie. When she runs across the road, she’s not just looking out for cars and buses, she has to watch out for trams too. And all of those are travelling on the right side of the road, not the left. 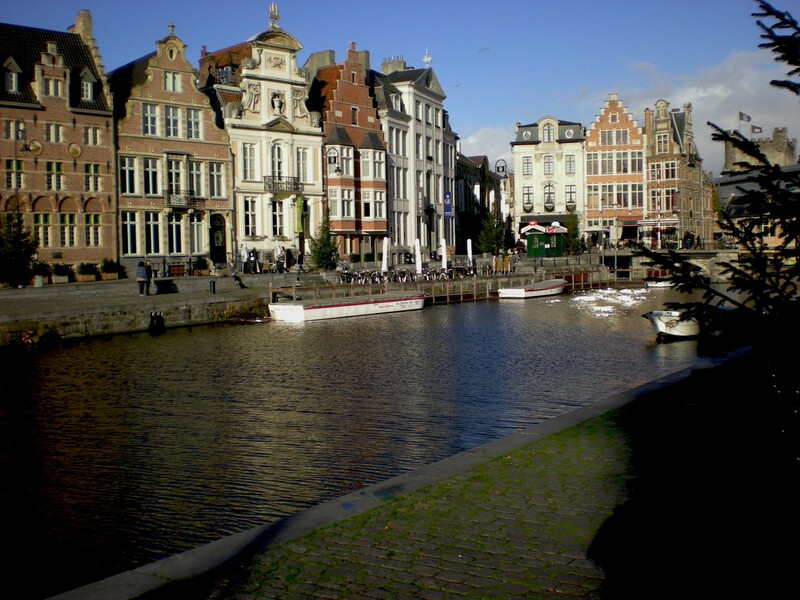 This is Ghent, one of the largest cities in Flanders, the Dutch-speaking part of Belgium, and the scene of my new YA thriller, Demons of Ghent. I consider myself a UKYA author. I was born in London and I have spent the majority of my life living in Britain. Still, all my books to date have been set abroad, in Germany and Flanders. It’s not that I don’t think the city of my birth would make a cracking setting for a thriller. It’s because from 2001 to 2011 I lived abroad, in Germany and Belgium. I found living in those places inspirational. Also, I was following that old piece of writing advice “write what you know.” After a few years of living overseas, I couldn’t have told you the price of a loaf of bread or a newspaper in Britain. Never having seen BGT, Strictly or the X Factor, I couldn’t have my characters talking about what they watched on British TV last night. I had no idea what would be on the syllabus if my teenaged characters were at school in the UK. I knew plenty about life in Germany and Belgium though. Now I’m back in Britain, and when I’ve finished making the final revisions to Urban Legends, the book that follows Demons of Ghent, I will finally be writing something set in the UK. I’ve been back for three years and I’m losing my grip on the details of everyday life in Flanders. It’s time to move on. Authors sometimes date themselves fairly accurately by choosing character names that were popular when they were young. When I was growing up, there were loads of Susans, Deborahs and Julies, but I don’t remember ever meeting an Ashleigh or a Kayla. I spent the best part of ten years living in places where Sabine, Claudia and Lia were popular names, so I’ll need to do some homework on UK names. I think of my years in Germany as the “curry-less years”. There was allegedly a single curry house half an hour’s drive away from where we lived, but nothing locally at all. There were loads of Turkish takeaways serving truly fabulous pide, but if I wanted curry, I mostly made it myself. And of course it never tasted quite the same. In Flanders they have the fritkot, which is a kind of local Temple of Chips. Belgian chips are double fried so that they come out slightly crispy. They are often eaten with mayonnaise, so I shall have to remind myself that in Britain it’s more likely to be salt and vinegar, ketchup or brown sauce. I write thrillers rather than, say, romances, so my heroines often have to dress for wading through snow, climbing up the outside of buildings or roaming through forests rather than thinking about what looks cute. All the same, I was surprised when an editor queried the fact that one of them went around in jeans. Apparently UK teens were wearing skirts or those short demins with opaque tights underneath at that time. I made a point of checking out what all the Brussels teens were wearing when I picked my kids up from school that day. Jeans, as far as the eye could see. Sometimes for plot reasons, you have to send the hero or heroine out into the street so that they can run into a key person or notice some important thing happening. In the UK, he/she could nip out to buy a pint (*cough* 568ml) of milk. In Flanders or Germany they almost certainly wouldn’t do this. People tend to buy longlife milk in bulk from the supermarket rather than buying fresh milk daily. If they nipped out for something it would probably be freshly-baked bread from the local bakery. I’ll have to remind myself it’s back to the pint of milk. It’s quite difficult enough keeping up with mobile phone technology. When I started writing Silent Saturday (the book before Demons of Ghent), Veerle, the heroine, had a flip-open phone because that was what I had brought with me from Germany. A quick glance at the phones the kids were using in Brussels showed that everyone had moved on to slide-open phones. By the time the book had gone to copyediting Veerle had a touch-screen smartphone. Aside from that, there are differences between mobile phone usage in the UK and other countries. In Belgium and Germany, we had to give quite a lot of personal details when buying a mobile phone (though this may since have changed). 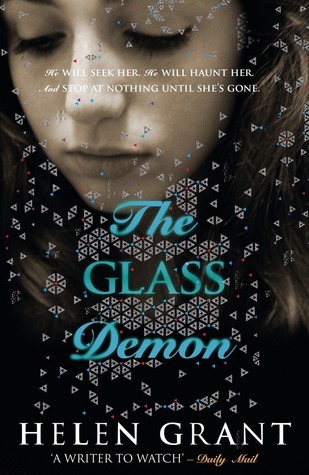 This was quite a headache for me when writing one of the scenes in Demons of Ghent, because the heroine needs to call the police without the call being traced. There are virtually no public callboxes in Ghent because hardly anyone uses them any more, but she couldn’t use her own phone because it could be traced to her. It took a while to work my way around that. It was a surprise when we returned to the UK to find that you could walk into a mobile phone shop and buy a very cheap pay-as-you-go phone for cash without registering in any way. That should make those pesky calls to the police a bit easier in future novels. I try to steer off using a lot of slang in my novels because it dates so quickly. However, there are some special pitfalls for anyone who’s lived abroad. The Germans call a mobile phone a “handy”, which sounds English. I heard that word used so often that I still use it all the time without thinking. If my future UKYA heroines call their phone that, they’re going to get some very funny looks! The characters in my books do swear fairly freely, probably because I doubt anyone would stumble over a partially-decomposed corpse or interrupt a serial killer at work and exclaim “Goodness me.” I’ve managed to avoid an atmosphere of (cough) all-out vulgarity by using local swear words most of the time. Klootzak is a particular favourite of mine. I’m going to have to stop doing that, and think about how my UKYA characters can express their dismay without carpet-bombing the text with the f-word. I still haven’t watched BGT, Strictly or the X Factor so I may simply have to make sure my characters are too busy to watch TV. The public transport systems in Flanders are excellent – lots of trains, buses and trams running late into the night. I made a lot of use of this in Silent Saturday – it is a perfectly feasible way for a teen without a car to get to all sorts of places. 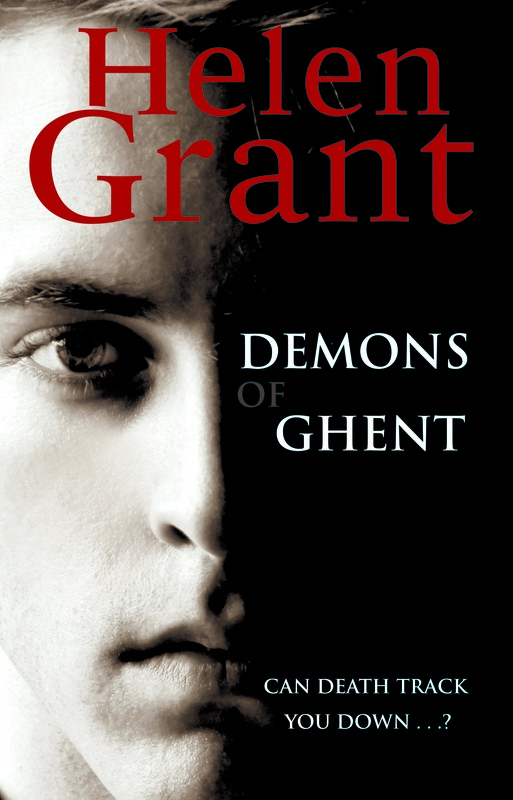 In Demons of Ghent I’ve even explored the possibilities of a tram as a murder weapon. I’ll have to think carefully about how to move my UKYA characters around. My current home is in the countryside, and the last bus back to it from the nearest city leaves before 11pm. No midnight shenanigans for the heroine then, unless she has her own transport. 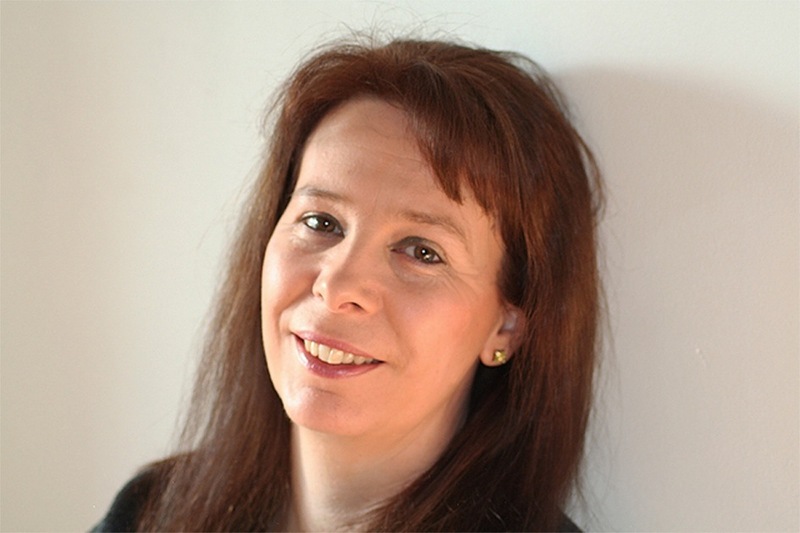 Categories: Guest posts | Tags: Helen Grant | Permalink. But death isn’t finished with Veerle just yet. When people start to die in her new home town, some put it down to a spate of suicides. 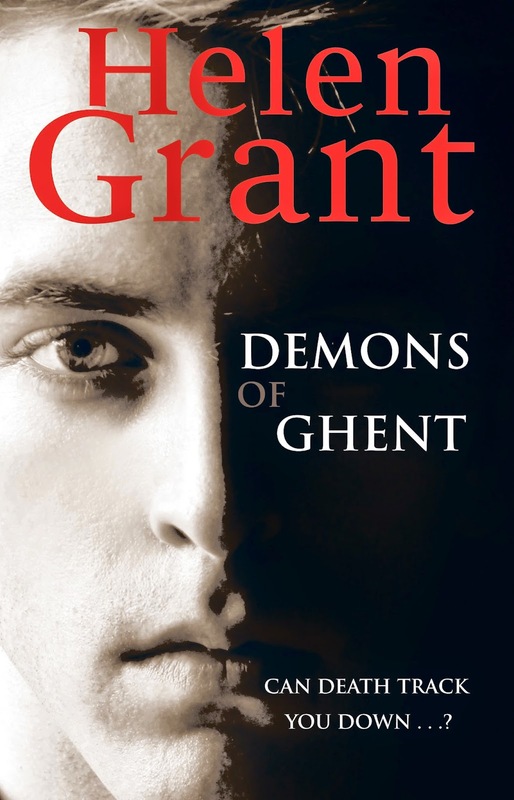 Some blame the legendary Demons of Ghent. Only Veerle suspects that something – somebody – has followed her to wreak his vengeance. 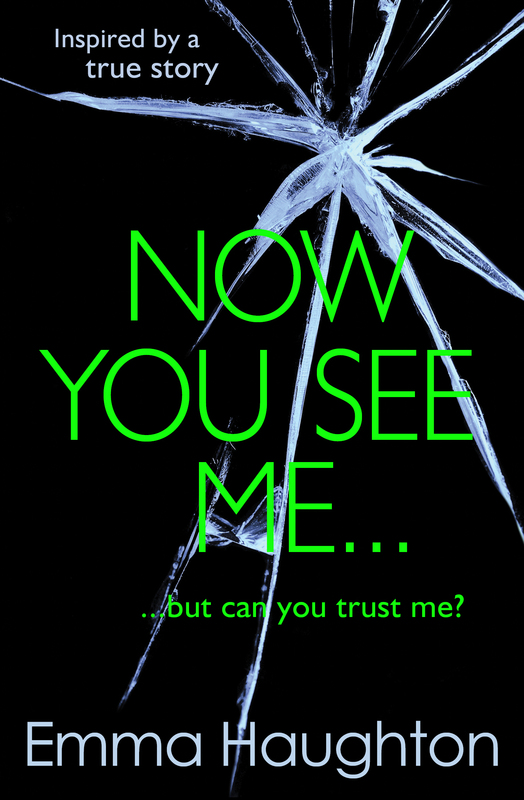 Categories: International, Paranormal, Thriller | Tags: Helen Grant | Permalink.